Do you have struggles with drop shipping? 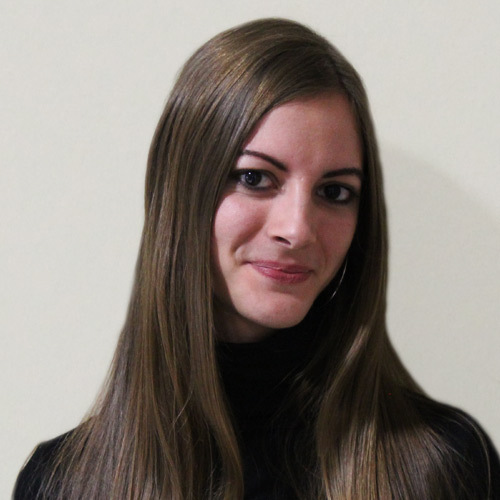 Your conversion rate is not the most favorable? Here is the solution! A lot of you have already heard a lot about drop shipping. There are hundreds of articles about this sales method on the internet and most of them only talk about how profitable it is and state it’s a good way to run a business even if you put just a small amount of money in it. However, you have to consider a bunch of other factors when it’s about jumping into the world of drop shipping. It has a dark side too, so we came up with the idea of the novel kind of this retail fulfillment method: remote warehousing. Drop shipping is a good way if you want to run a business with small capital, and you do not want to keep products you sell in stock. It means, when you an online store owner, sell a product, you purchase the item from a third party – wholesaler or manufacturer – and have the item shipped directly to the customer. Remote warehousing is similar to the standard model but it has significant differences. Working this way you can also start your business with a small investment, not owning the inventory. If you want to run your business successfully in the long run, please read this article carefully. What we are going to say is based on the experience of hundreds or thousands of merchants about drop shipping. Our team used to work using the remote warehousing model before we came up with our Shopify application. We have 16 years of experience in the e-commerce market, and we know a lot about drop shipping. Our words worth consideration. If you want to know why we started to develop a product managing application read more about us, and check why is it beneficial to use Syncee. Let’s see both retail fulfillment methods in detail! We are examining the mentioned problems hereinafter adding how to address them the best. All of the issues can be resolved with some good ideas. 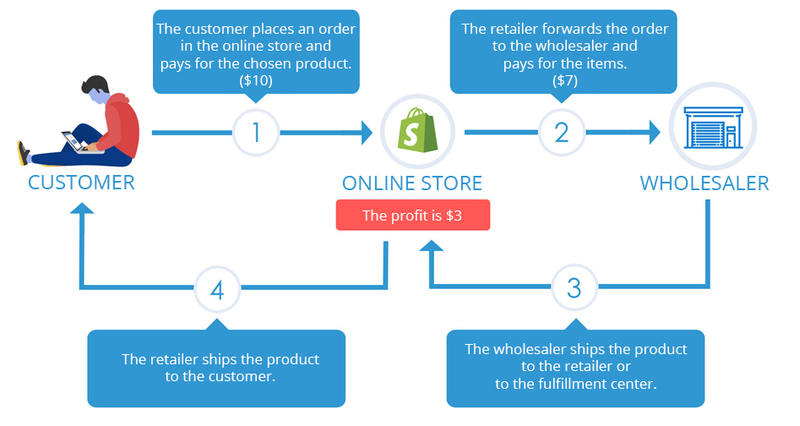 This product fulfillment method is a closed chain that has three elements: physical customer, supplier, and virtual retailer. It’s kinda like an endless cycle. The customer orders products from a retailer that doesn’t have a real stock, then the retailer orders those products from the supplier. Money moves between the customer and the retailer, then between the retailer and the supplier. Suppliers deliver the product to the customer. Using drop shipping means that you import items from other virtual retailers, so from retail marketplaces, or you can order items from real wholesalers to your Shopify store. There are many marketplaces that sell products and let other retailers resell goods from their stock as well. These marketplaces are for example AliExpress, eBay or Amazon. 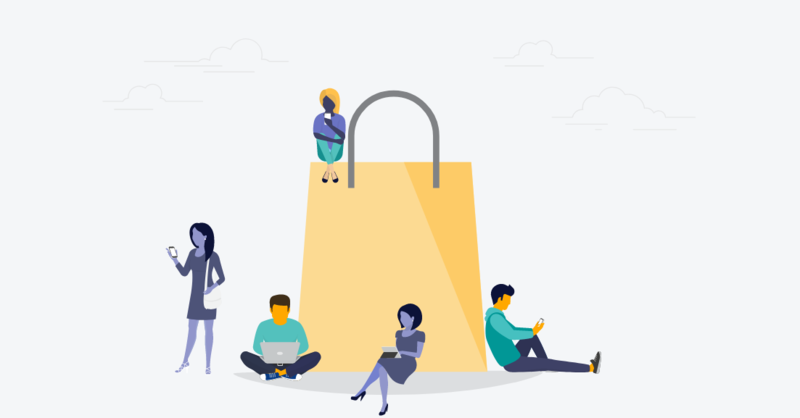 In another point of view, retail marketplaces have more retailers that sell their own items there, and Shopify web stores can be associated with these ones. What happens in this case? The Shopify store merchant chooses products one by one from the marketplace he wants to sell in his own online store. Then, he sets the right settings – as for margin and so on – and offers those items for sale. There aren’t real stock holdings, there is no need to pay for a warehouse. Products that were ordered from marketplaces will land at the customer’s house directly. As a result, the online store owner never sees or handles the product. There’s no need to invest too much money into the business and the selection will be wide ranged in newly created virtual stores too. long delivery time: customers often wait a month until the product they ordered get delivered. Nobody likes this. high delivery cost, distant suppliers: it’s because products arrive from the most distant place of the Earth, and the costs of delivery can get really high. Especially if you want faster shipping time. Also, you don’t have the chance to meet the wholesaler even if you want to. higher prices: let’s think about reselling products from retail marketplaces (for example AliExpress). In this case, you as a merchant set the price margin to products for monetization purposes. So the price will be higher than it is in the retail marketplace. Who wants to buy products at a higher price when they are available for less money in the original stores? You have to set really low margins. the same products everywhere: it’s about the situation when merchants cooperate with sellers from marketplaces. You know, that’s when everyone sells the same stuff. You won’t get purchases, in this case, don’t be much surprised. It’s because of the higher prices too. customs duty and VAT: if the customers order goods by reaching a certain monetary limit, they have to search for ordering documents and manage VAT and customs duty matters and pay more. 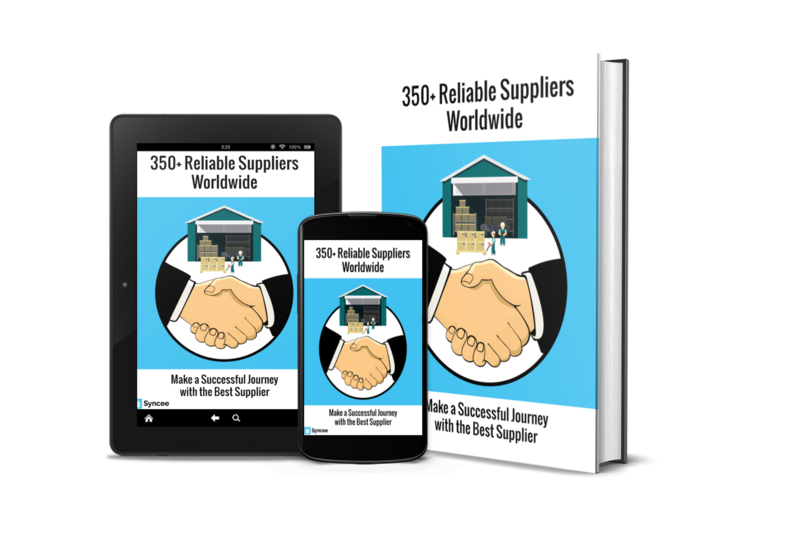 It won’t happen if you work with reliable, real wholesalers who work close to your target market, or if you contact and you can cooperate with courier services. unknown quality: as Shopify web stores don’t have warehouses or the products don’t arrive at their place, they can’t even see and check the products they sell. lost package: it’s not a new problem in the world of ordering goods from abroad, and it can cause inconvenience for both the online store and the customer. problems with warranty: online stores have to send back the packages to the other side of the globe and the product can get lost in this case too. The biggest problem is when the retailer disappears and there’s no place to send the products back that would need warranty service. There’s no chance to get money back or to get a new product. Even if you work with a standard wholesaler you have to make sure that they are reliable. reliability at issue: you don’t know anything about the retailers from the marketplace, you are not able to know if they are reliable or not. banks move apart: because of reliability problems, banks don’t like to work with money from classical drop shipping businesses (especially as for reselling from marketplaces). items arrive from different places: if customers order things that are from different wholesalers or retailers (from the marketplaces), they won’t get the packages in one main box, they will get that number of parcels as many places they’ve ordered the products from. There’s no place where the products can wait for each other. If you want to be successful in the long run with your Shopify store with small capital investment, you need to consider the remote warehousing model instead of the standard Drop Shipping one. If we are talking about this novel model, you, as a retailer, are associated with real local wholesalers who will be your suppliers. You will import their items in your online store. You choose your suppliers based on what kind of shop you would like to have, what you want to sell, where you live, where you want to ship. Then, you contract with those suppliers, so it will be a long-term and reliable cooperation and business for the both of you. 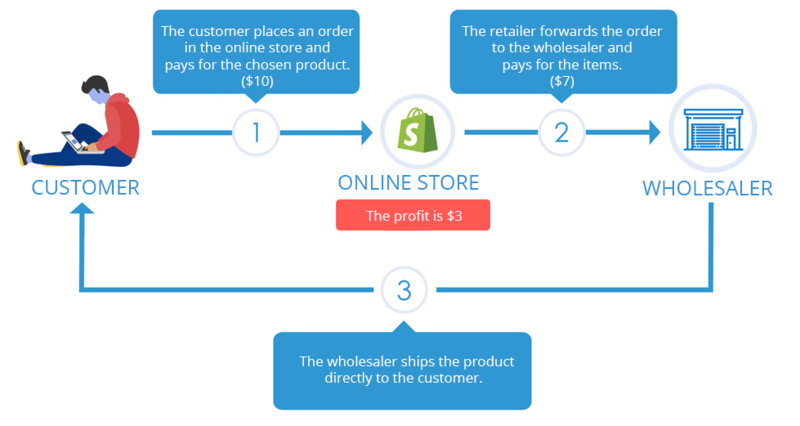 This process is a bit similar to the standard drop shipping, money moves in terms of physical customer -> retailer -> wholesaler. Customers will order from you, you will summarize these, then send it to the supplier. You don’t own an inventory. And now a difference. The supplier will deliver the parcels to you, and you need to forward it to the customers. The advantage of this is that you can make sure about what you are selling. Also, about how is the quality of the items, if they are damaged or not. You don’t even have to worry about renting a warehouse because you can place the packages in your own living room, garage or kitchen. Later if your business grows bigger, you can rent a warehouse, but until that, you’ll have a great income. But it’s not an ordinary kind of e-commerce method. The most important reason why it is beneficial is that, when a customer orders more products from you, and these products are from different suppliers, the customer won’t receive the items in more packages at different days. The parcels get to your place, and then you can send them in one package to the customer. By the way, when your kitchen is not big enough anymore, and your store has grown so much, you should cooperate with a courier company. This is called a fulfillment center: the products, your customers order arrive at this center instead of your home. The reliable people working there will check the products, wrap it up and forward them to your customers. This fulfillment center doesn’t have to be in your country. For example, if you are in Germany but you sell products in Great Britain, you can enlist a fulfillment service there in Great Britain. Maybe you worry about the increased delivery time, but please note you better work with local suppliers so that the shipping time can be short. Even if the delivery time sometimes can be a bit longer than usual, it doesn’t matter because it worth it. But remember: if you cooperate with local wholesalers, you won’t have any problems, because they can ship the orders within a couple of business days. The wholesaler will give you a price list and you will see what items you can sell and for what price. At the very beginning of commerce, in reality, not in the virtual world, this went the same way. Just the technical conditions changed. You buy a product for a certain price, you put a margin on it, then you sell it with a new price and you still going to earn money. If you use the remote warehousing model you don’t have to pick the virtual items one by one from the supplier’s list. You get everything from the wholesaler. They have data files – you get them – but they are in different formats. There are different kinds of data structures too. So, you will probably have a hard time with the manual settings. If you want this to be easy, you don’t have to do anything else but use the right Shopify application which can solve these problems facilely. Try Syncee. local suppliers: having suppliers close to you makes your work and life easy. The products will arrive in a short time, every service will be fast, as well as you can get to know the wholesaler better, you can make sure they are reliable. short delivery time: customers won’t have to wait a lot, for example, a month to get the products they ordered. For as much, suppliers are close, the time of shipping gets lower. It’s a good way to work with companies from nearby countries than from other continents or the other part of the continent if you are in Europe for example. Besides cooperating suppliers from the neighborhood, it’s also good, and the best to contract with ones from your country. An example: if you order from a cross-border supplier, you get the products in e.g. 3-7 days. If you order from a supplier who is in your country, you can get the products in 1-2 days or on the day of order placement in special cases. low delivery cost: it’s also a pro for cooperating with local wholesalers. It’s obvious. You won’t have that much fee to pay if you have local suppliers. lower prices: if you don’t work with retailers from, for example, eBay, you can have a bigger role in e-commerce with more unique products from real suppliers. You can get the products at a lower price from wholesalers than from retailers, and even if you set margin for the original prices it’s going to be a good bargain for the customers. no customs duty and VAT problems: if your customers order goods from reliable local suppliers, they don’t have to worry about customs duty and VAT problems. If you work with real wholesalers you can contact, you can also cooperate with courier services. reliability: you contract with the supplier, you will work together in the long run. You can contact them with any problem, and they won’t disappear without a trace. known quality: you choose who do you want to work with, you know what kind of products it distributes. You can make sure about the quality because items arrive at your place. Nothing will surprise you. no lost packages: the packages your customers order most likely won’t have a long trip like other items arriving from, for example, marketplaces. They won’t be just an element in the huge product heaps on airplanes. If you can work with courier services, you can feel safer. Even if there would be some trouble with parcels somehow, the supplier you work with and is close to you can help you in solving the problem fast. no warranty problems: the handling of warranty problems is not cumbersome. There’s a place to send back the products if it’s needed, and there’s a chance for a refund. The service is fast, the supplier is reliable. banks cooperate: the method of remote warehousing is safe for everybody in the chain. There’s nothing to worry about for banks too because they know the wholesalers won’t disappear without a trace. items arrive in one package to the customers: it doesn’t matter if the products the customer orders are from different suppliers. The customer doesn’t have to run to their entrance door to receive parcels again and again always with just one item in them. If they order something from your online store, the products will arrive at your place, and you will wait until every item the buyer ordered arrives, then, if everything is there from your suppliers you know well, you send the articles in one package to the customer. We have a Facebook group with more ten thousands of members (Shopify Dropship, Wholesale Suppliers – Syncee group). 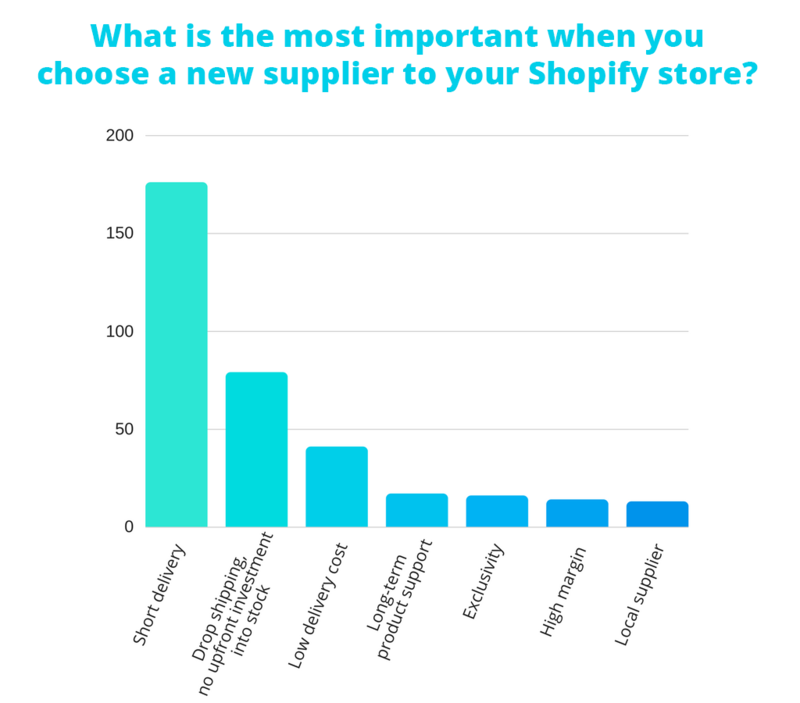 In this community, we have posted a mini questionnaire with the following question: What is the most important factor when you choose a new supplier to your Shopify store? A lot of answers arrived, here’s a quick review of it. The result, from April 2018, reflects the need for remote warehousing. You work with real wholesalers, you don’t have to worry about anything. You work with local wholesalers, the delivery time is short. The products arrive at your place, the customer will be happy to get just one package with more products. They don’t have to wait a lot, even if products don’t arrive to them directly but to you, because you cooperate with local suppliers and the delivery time is short. What should you do to get into Remote Warehousing? The basics are the same as in drop shipping. Now, you just have to ask the chosen reliable local supplier if it is okay for them to send every product to your place. Let them know everything about this way of e-commerce model. It’s a mixture of the standard drop shipping and the standard commerce model. Don’t you know how to find new suppliers? You can read more about how you can make contact with new suppliers in our relating post. Are you looking for courier services and a fulfillment center to improve your business? We collected dozens of fulfillment centers in this article, feel free to browse the list. We have supplier lists in our blog advise wholesalers located in the USA, Europe, Australia, Canada, and Africa-Asia. There are hundreds of companies on the lists, so it can be a piece of cake to find the adequate supplier by categories. There’s also a method how you can find new suppliers. With only a few clicks you can import the products into your Shopify online store. This is Syncee Supplier Exchange (read about SSE in our Help Center), our new feature that came out in Spring 2018. It’s good for both retailers and wholesalers. We don’t only advise this for those who want to import products but also for those who want to turn their store into a supplier company too. And obviously for wholesalers who want to be on our list. It’s good for them because they can have more customers. What is Syncee? Syncee is a Shopify application that does product managing automatically to online Shopify stores. It can do product import, update, and upsert. These processes can be a piece of cake for everyone. Syncee is a leading app in the Finding and adding products category, Finding suppliers subcategory for more than one year now in Shopify’s App Store.